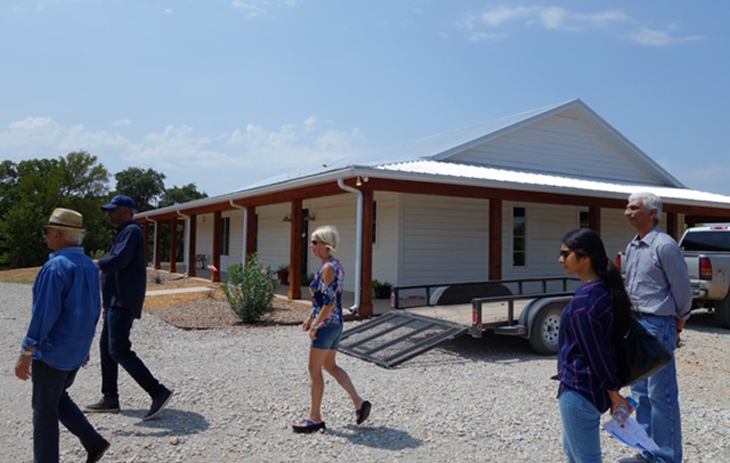 Sri M’s 2018 US visit included a trip to a property located at 302 Racetrack Road in Graham, 120 miles west of Dallas in the state of Texas. All Blossom Foundation Board Members accompanied him. 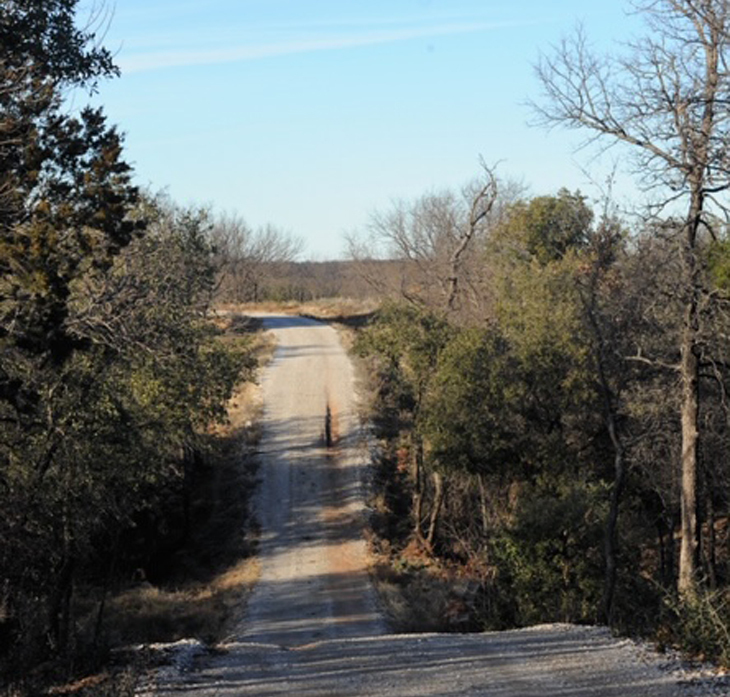 A gradually winding graveled path led from the gate to a house that came into view as the group turned a corner. 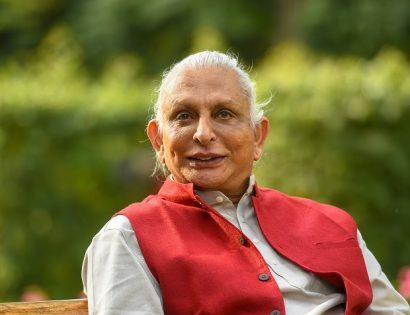 The recently built ranch style home looked ideally suited to be Sri M’s dwelling when he spends time at the property: M’s Ville – Sacred Grove. 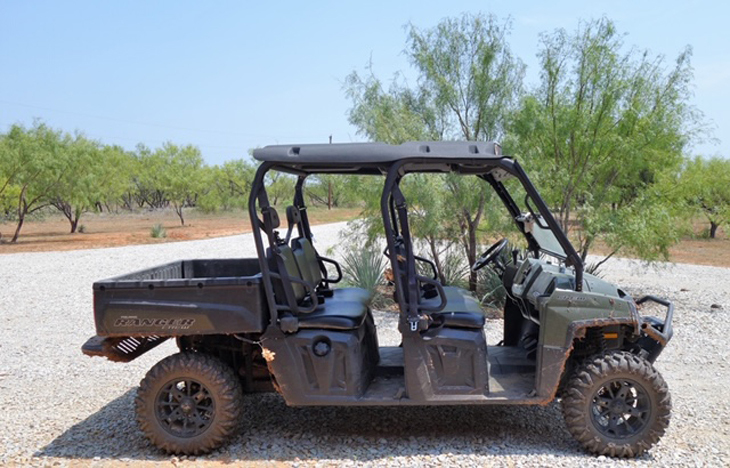 The group took a tour of the property, spanning nearly 49 acres, in an all-wheel drive Polaris brought by the real estate agent. 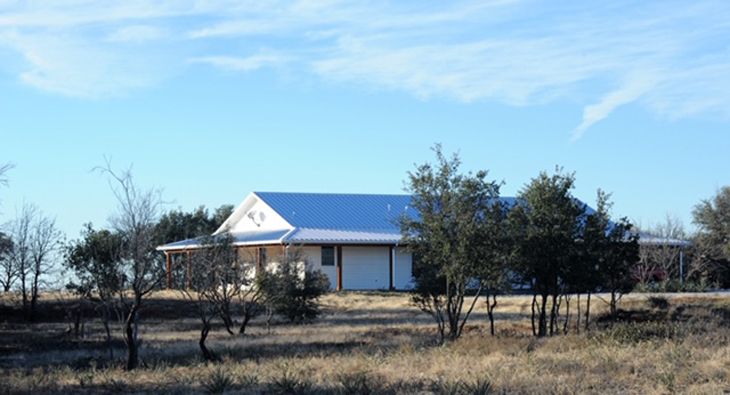 The Brazos River frames the western boundary of the property. 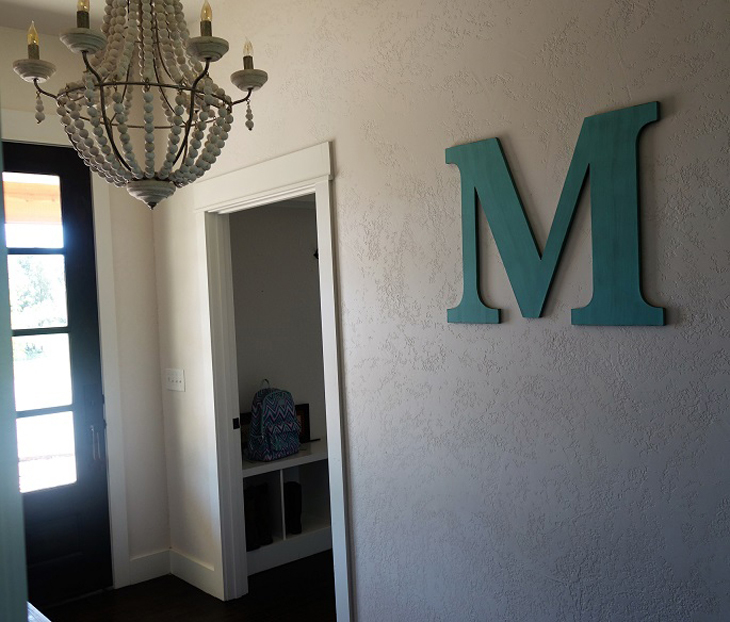 At the entrance to the house was the letter ‘M’ framing the doorway. Apart from the many features, this indication was a clincher for the team that had originally surveyed the property before Sri M’s visit. 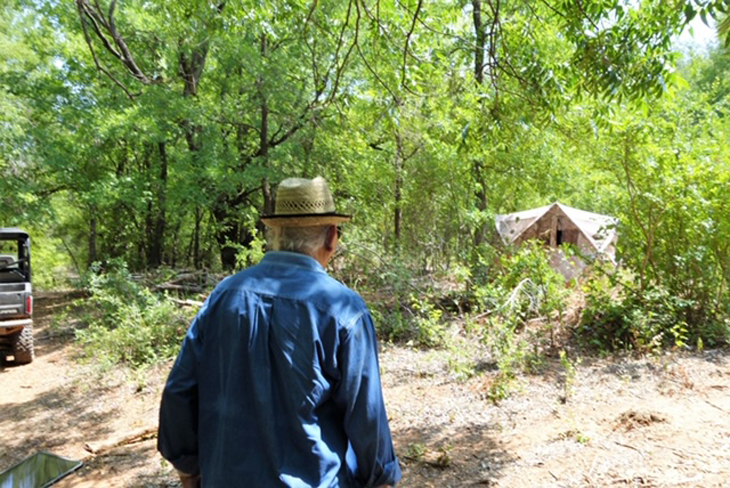 Following a quick tour of the house, the group proceeded to explore the rest of the property and see the Brazos River. 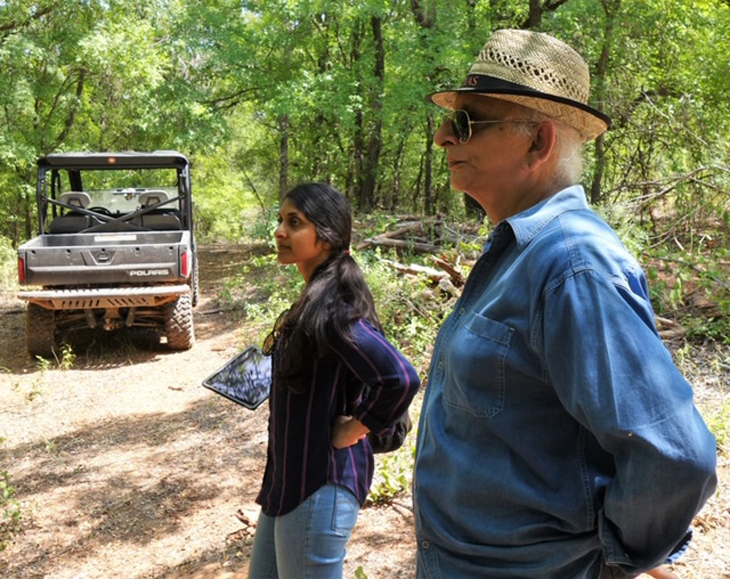 The tour meandered along the edge of the property to the riverfront with several stops along the way to take in a closer view of the trails and sights. 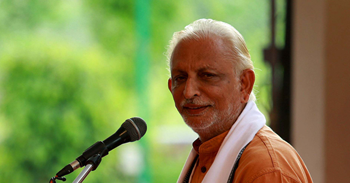 Sri M was satisfied with what the property had to offer towards his vision for M’s Ville – Sacred Grove. With his go-ahead, Nandakumar – Vice President, Blossom Foundation went ahead with the negotiations and secured the deal.